as an arena for uncommonly angry minds. One would hope that the recent tragedies in Charleston, Chattanooga, and Lafayette would build a tsunami of support for greater gun safety. Unfortunately, these events are just new additions to a frighteningly growing list of mass shootings that raise the visibility of gun safety issues to the fore and then disappear into the maw of a unendingly voracious news machine that must be fed new tragedies or succulent sound bites on an almost hourly schedule. In a particularly egregious example of the extremist nature of this movement, a Texas state legislator recently introduced legislation that would authorize armed school employees to use lethal force to protect school property, at the same time exempting them from any court action related to injuries resulting from such an incident.8 So, if this bizarre legislation passes, it would seem that a child of any age in Texas who is defacing a school wall with graffiti can be shot and killed by a school employee, with the Texas legislature assuring no criminal or civil repercussions for that employee. This legislation will not, one desperately hopes, pass, but its very introduction serves as a beacon warning for those concerned with gun safety about what may lie ahead. As one step back and views the political landscape surrounding issues of firearm safety in this nation. One fact is strikingly clear. There is something deeply wrong and wildly perverse going on here. One man’s abortive attempt at violence, which injured no one, resulted in p;oicy change affecting the behavior of billions, while the tens of thousands of firearm deaths every year do little to dampen the fervor, or the political success, of those bent on reduced firearm safety. This situation is neither an accident nor a simple matter of fate; it is inherent in the politics of gun safety in America and in the nature of those who lead the opposition to greater firearm safety. Gun advocacy groups like The National Rifle Association and its ilk are the proverbial wolves in sheep’s clothing. These extremists characterize themselves as “mass membership” organizations advocating to protect the prerogatives of the average hunter or gun owner from unreasonable infringement. In reality, they are radical, extremist organizations whose motto is not, as they claim, protection of the constitutional mandate that “A well-regulated militia being necessary to the security of a free State, the right of the People to keep and bear arms shall not be infringed.” Instead, their true, unacknowledged motto, and the policy goal toward which they work, is—In America, any gun for anyone, anywhere, and any time. Recent days have shown us again, with chilling and tragic clarity, the cost of firearm extremism. The terrorist acts in Charleston, SC, Chattanooga, TN, and Lafayette, LA show us what horror sprouts from the seeds sown by firearm extremists. In the fun-house mirror world of pro-gun extremists, guilt always resides outside the specific action that created the horror. The weapon, its manufacturers, its purveyors, and the gun lobby are absolved of any responsibility. Responsibility for the tragedy lies at the feet of traitorous politicians, a failed mental health system, or some other entity far from the world of guns. The firearm that spewed death at those innocents is just a detail, best overlooked while gun extremists point their own blood-stained fingers at anyone but themselves. For those of us in America who have grave concerns about firearm safety and firearm violence, it is time that we be very clear about whom and what we face in this political and social struggle for greater firearm safety. The NRA and GOA are not your run of the mill lobby groups. Their most ardent supporters aren’t the guy next door who goes deer hunting. It is time we recognized and labelled the movement led by the vocal, powerful opponents of greater gun safety in America as what it truly is—Firearm Fascism. 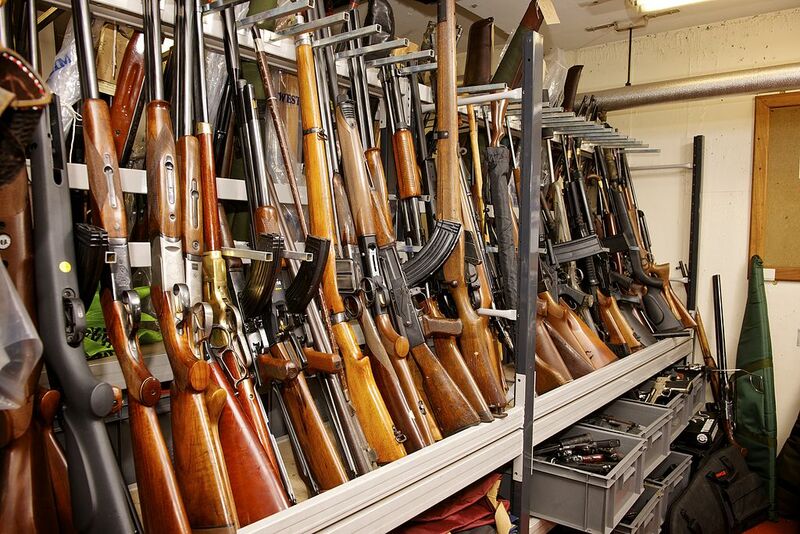 Hundreds of millions of Americans own hundreds of millions of firearms.23 The Second Amendment of the U.S. Constitution, according to the current Supreme Court, gives individuals some personal rights related to firearms. 24 To those hundreds of millions, I say simply—go forth and enjoy. Happily, and carefully, own and use your firearms for hunting, sport, or personal defense. I am concerned, not with these millions, but with the beliefs and behaviors of that special class of individuals who claim that they can speak in the name of those hundreds of millions of Americans and that they hold alone hold revealed constitutional truth in their hands. Being clear about the way in which these individuals make their arguments and their style of argumentation are key elements in understanding the Firearm Fascism movement in this nation. Those who claim they speak for, and reflect the views of, American gun owners do so for a variety of reasons. Some are obsessive protectors of what they incorrectly see as an inalienable right for citizens to possess firearms of all types in any setting (e.g., Ted “Cat Scratch Fever” Nugent). These gun owners are especially likely to believe they need their firearms to protect us all from the rise of a progressive dictatorship. This peculiarly American hotpot of gun extremists and firearm zealots (the paranoid, the greedy, and the power-hungry) and their unconscionable behavior are the focus here, not the actions of those hundreds of millions of average Americans who own and use firearms. What all three types of these passionate “friends of firearms” share is that they all qualify as Firearm Fascists pursuing a fascist agenda. When Americans think of fascism, we immediately recall images of the Second World War. We see brown shirts, black shirts, death’s head insignia, and Nazi’s goose-stepping their way into some of the darkest pages of 20th century world history. That is a serious mistake. Fascism is both more and less than the political movements we saw evolve in the lead-in to World War II. Fascism is not just what one saw in Nazi Germany or Fascist Italy. It is not just American Nazis holding joint meetings with the Ku Klux Klan, or tattooed skinheads rioting in Western Europe, though these pools of distilled hatred are still among us.27 It is not only political movements with the goal of establishing a totalitarian state. It is, in its current incarnation in the United States, in the world of firearm policy, is an extremist political movement advocating a vision of American life that is wildly and dangerously at odds with the current world. The Open Carry Texas (OCT) demonstrations in 2014 give one a quick glimpse into that idealized world. We saw young men carrying loaded assault-style firearms into family restaurants or grocery stores.28 As the blaring song on the OCT website says, “I’m on my way to a better time and a better place.”29 That better time and place, for these extreme firearm advocates, whom I dub Firearm Fascists, is a brave new world where anyone can openly carry any firearm they wish into any venue at any time. The NRA, showing more political sophistication than the leaders of OCT, chastised the group. Telling them, “To those who are not acquainted with the dubious practice of using public displays of firearms as a means to draw attention to oneself or one’s cause, it can be downright scary. It makes folks who might normally be perfectly open-minded about firearms feel uncomfortable and question the motives of pro-gun advocates. [Emphasis added]”30 The NRA’s concern with these bizarre and frightening exhibitions reflects the NRA’s true values. see OCT’s activities were neither dangerous nor irresponsible; the NRA simply saw these demonstrations as bad politics that might turn people away from the pro-gun movement and its goals. Rush Limbaugh gave us “Feminazis”,31 and others even talk about “Food Fascists,”32 Texas Senator Ted Cruz, at the Faith and Freedom Caucus in Iowa, recently opined that “liberal fascists” have somehow hung targets on the backs of Christians.33 Given all this, one is forced to recall George Orwell’s commentary on fascism. He argues “fascist” and “fascism” are labels that have been horribly, and inappropriately, over-used. He also argues that most of us would accept the word “bully” as a fair definition of a fascist, as the term is now used. “Make no mistake: The world that surrounds us is growing more dangerous all the time. Whether it’s enemy state actors, foreign terrorists, Mexican drug cartels or domestic criminals, the threats Americans face are massive—and growing. America’s police community knows that every U.S. city of any appreciable size already has a serious, established, drug-funded Mexican drug-cartel presence. – More than 100,000 street gang members have been documented in Obama’s hometown of Chicago alone. Add to that volatile mix the thousands of hardened, dangerous criminals that are being released from prisons all over America. And who among us can say with certainty that we’d never face that same kind of out-of-control mayhem and brutality in our own city or hometown? When you consider all the threats encroaching on our country, one fact is clear: We live in an age when preparing to survive whatever comes our way is a simple fact of life or death. It’s simply the most prudent way to survive. Prudent leaders prepare their nation. Prudent people prepare themselves. And millions of NRA members and gun owners know the truth: The police can’t always be there to protect you. The government can’t—or won’t—protect you, either. Only you can protect you. The list of threatening others, for the NRA, is obviously quite long. It now includes enemy states, terrorists, Mexican drug cartels, Latino street gangs, and hardened street criminals (i.e., men of color). These groups threaten every citizen; the state with all its might is impotent in the face of these threats or these threatening foes. All that remains for any sensible person is do in the face of so many “others” who plan to do them harm is to heed the cry of our Firearm Fascists and arm oneself for the coming horrors. One of the subtexts of this rant is that one can easily arm oneself by shopping among the many firearms dealers and manufacturers who provide financial support to the NRA and advertise in its magazines. Worship of a cult of tradition is not a trait peculiar to Firearm Fascism, but it is truly a core value. When Charlton Heston, then president of the NRA, made his famous, or infamous, “From My Cold, Dead Hands!” speech.41 The firearm he raised to his applauding audience was not a hunting rifle, a target pistol, or a civilian version of a military assault rifle. He was holding a flintlock musket, the weapon that symbolizes America’s first struggle for freedom, the Revolutionary War. The NRA is the largest and most powerful organization supporting and fostering the growth of Firearm Fascism, and it takes great pains to claim association with important American traditions. That Heston hefted a musket was not simply happenstance; it was an important sub-text of his intended message. For fascists, disagreement with their political positions approaches, or is treasonous. Treason is a very strong word with a precise definition; few policy discussions today involve its use. However, some of the more rabid supporters of Firearm Fascism across America freely and loudly called the 46 Senators who supported the UN Treaty on Small Arms exactly that—traitors.45 The NRA is far too sophisticated to call anyone a traitor. Instead, they only use language about their political opponents in which the “T” word is just a whispered implication. One can discern that nasty whisper in statements like those of Chis Cox, of the NRA’s Institute for Legislative Action. The UN treaty is one of the many “…blatant attacks on the constitutional rights and liberties of every law-abiding American. The NRA will continue to fight this assault on our fundamental freedom.”46 Who, one must wonder, other than traitorous characters, attacks constitutional rights, liberties, and fundamental freedoms? A core concept of fascism is the presence of an enemy conspiracy. Umberto Eco notes that fascists live in a state of constant war. In part, they do so because perceived conspiracies threaten their rise to power or retention of that power. 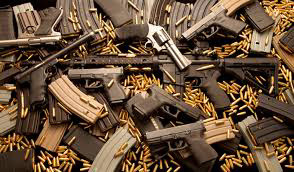 For American Firearm Fascists, the dominant conspiracy is the “great gun grab.” Any governmental action that does not expand access to, or the availability of, firearms is clarion call that the NRA and other gun extremist groups use to raise the specter of the gun confiscation. Most cultures have fairy tales about monsters lurking in the dark awaiting their chance to prey on the innocent or inattentive. The folklore of American Firearm Fascism, trumpeted by the NRA and other gun advocates, has federal agencies salivating in the dark, preparing to grab the guns of honest gun-owners. All the monsters need is a list, and then their secret agenda will be put in place and activated. In the recent exhibition of the power of Firearm Fascism in America, oOne conspiracy seeking website indicated “Feds preparing to invade Texas, list state as ‘Hostile. '” The Site’s founder indicated that the exercise is either preparation for military action following the impending financial collapse or some nefarious plot for Obama’s end-days in the White House. Fascist’s focus on heroism and manhood results in an obsession with firearms. Fascist in earlier eras sought the emergence of a totalitarian state under fascist control. Today, American Firearm Fascists, in a seemingly strange reversal, see themselves as the last bastion of defense against the emergence of such a state. These people have forsaken the despotic element of fascism, but they have embraced its brand of fanaticism. Finally, Fascists engage in NEWSPEAK. In the same way, as noted earlier, the Second Amendment, which included no individual right to own firearms until the Heller decision in 2008.56, is the first freedom. Liberty and freedom are not free speech; they are not habeas corpus; they are not a right to safety from unreasonable seizure, the right to a trial, or the right to counsel. They are simply, for Firearm Fascists, the legal right to own and carry firearms. Their stance, of course, ignores the fact that the First Amendment, which many consider the first freedom, is what protects their right to push their Fascist political agenda to the public and to law-makers. That would seem to, at least arguably, make the First Amendment our First Freedom. The core of Firearm Fascists’ newspeak is the NRA’s mantra, “Guns don’t kill people. People kill people,” While this is obviously true, but it is true only in the most trivial sense. In 2012, the United States had a homicide rate of approximately 5.0 persons per 100,000 persons in the population. That rate is 312 percent higher than that reported for Scotland; 454 percent higher than the rate for England and Wales; 500 percent high that the reported rate in Sweden. People kill people, but it would seem that Americans are, as a population, much less prone to interpersonal violence than other countries. However, our homicide rate is many times higher than these countries with what seem to be more violence-prone populations. The basic difference between the U.S. and these other countries Sweden, Scotland, and England and Wales), of course, is that the people in America are much more likely to have ready access to a relatively easy way to commit homicide, a firearm. James Carville posted a sign in campaign headquarters during Bill Clinton’s 1992 campaign for the presidency, the sign was meant to focus the staff on the crucial issue in the campaign, it said—it’s the economy, stupid! It’s time that Americans look at the deadly violence in our society and finally recognize—it’s really the access to guns, people! In a more global sense, when Firearm Fascists discuss firearms they are deeply engage in the “inversion of customary meanings.” A firearm is a piece of machinery with a specific purpose. It is, for all intents and purposes, a tool, albeit a dangerous one. In the world of Firearm Fascists a firearm is fare more than a simple tool. It is somehow a talisman, like a token in of some online game that protects the prince or princess from the trolls and ogres who would harm them. In this sense, Firearm Fascists are prone to what can only be called “magical” thinking. Somehow, wielding a firearm creates an impenetrable shield against all dangers. In the topsy-turvy world of Firearm Fascists, the government does not man the bastions and stand between the populace and the barbarians at the gate. The government is the barbarian. This is the dangerous bill of goods Firearm Fascists, dressed up in the sheep’s clothing of liberty and constitutional rights, that gun extremists, offer the American public. Ironically, one would hope that labeling pro-gun extremists as Firearm Fascists would have the greatest impact on those who will object most strongly to the use of the term—members of such organizations as the NRA, GOA, and other pro-gun groups. These groups posture themselves as strong protectors of the rights of the average American gun-owner masquerade as and behave in many ways just like a “normal” mass membership organization. Hotels: Wyndham, Knights Inn, Best Western, Howard Johnson, Days Inn, Ramada, Super 8, and Travelodge. All of this makes the NRA seem, to its members, like just another club, say maybe The American Association of Retired Persons (AARP) or the Kiwanis. But, it is not. NRA members need to recognize that the NRA is a fascist organization that, yes, has a wine club and a cigar club. While these seem like simple examples of bumper sticker logic and a simplistic interpretation of the Second Amendment, they are potent elements of Firearm Fascists’ propaganda. Speak to any NRA member, and he or she will invariably fall back on these slogans as a defense against regulations related to gun safety. “Gun-free zones” have become “victim zones. In essence, pro-gun extremist have been incredibly successful in “framing the issue” for all gun owners. The issue is “gun control” or “gun confiscation,” not firearm safety or violence. FIREARM FASCISM, BUT SO WHAT? A holder of a valid concealed carry permit in North Carolina killed three young Muslims in what some claims is a dispute over a parking place.63 A recent murder suicide, with a firearm, in Georgia left five people dead and two injured.64 For the decade ending in 2012, firearm homicides averaged over 30 per day in this nation.65 Times like these demand that we be precise, as with terrorism, in the way we speak about the extreme firearm advocates involved in the often heated debate concerning firearms policy in this country. “What’s in a name?’ The simple answer to this question in politics and public policy is—a great deal. The right-wing wind machine lambasted President Obama for calling groups like ISIL terrorists, rather than “Muslim extremists.”66 For his part, the President made clear that he had no interest in laying ISIL’s acts of depraved terrorism at the feet of any religion. Such precision in this time of “angry minds,” as Hofstadter put it, is commendable. It is important in our discussion of gun safety policy as well. In discussing the work of the Gestalt psychologist Wolfgang Kohler on the relationship between words and symbolic meaning, Adam Alter makes an important observation about naming and its implications.67 He notes that “If you’re like the vast majority of Köhler’s respondents, you’re compelled by the idea that [one feels that objects called] malumas are soft and rounded …, whereas [one feels that objects named] taketes are sharp and jagged…. The task in this essay has been to clarify the nature of pro-gun extremism in America. This movement is not designed to protect the average gun owner. It is a movement that uses the tactics of modern fascism in its attempt to radically restructure our social world. Extremism always hopes to gain legitimacy by attempting to plant its dirty paws in some revered soil, such as Christianity, Islam, freedom, or democracy. People like this must no longer be allowed to hide their horrible sins behind the shield of core American values. They must be “called out” for what they are—Firearm Fascists. What they seek is not the vaunted freedom guaranteed by the Second Amendment. They seek a world radically at odds with the desires of the majority of American citizens and the majority of American gun owners. They want to transform this nation into a place that recognizes the highly questionable virtue of “In America, any gun for anyone, anywhere, and any time. “Richard Reid,” last modified March 6, 2015, http://en.wikipedia.org/wiki/Richard_Reid. Thanks to John Oliver for bringing such a comparison to this viewer’s attention on his program Last Week Tonight. “Fatal Injury Reports, National and Regional, 1999-2013,” last updated February 19, 2013, http://webappa.cdc.gov/sasweb/ncipc/mortrate10_us.html. “Teacher’s Protection Act, HB No. 868” accessed March 23, 2015, http://www.legis.state.tx.us/tlodocs/84R/billtext/html/HB00868I.htm. Thanks to Hunter on Daily Kos for bringing this pending legislation to my attention. Jennifer Daniel and Allison McCann, “The NRA’s Corporate Donors,” http://www.bloomberg.com/bw/articles/2013-03-14/the-nras-corporate-donors. “College Drinking,” accessed March 23, 2015, http://www.niaaa.nih.gov/alcohol-health/special-populations-co-occurring-disorders/college-drinking. Garen J. Wintemute, “The Epidemiology of Firearm Violence in the Twenty-First Century United States,” in Annual Review of Public Health, 36: 5-19. Ted Cruz and Liberal Fascists, http://freedomoutpost.com/2015/04/ted-cruz-there-is-a-liberal-fascism-dedicated-to-targeting-christians/. Umberto Eco, Five Moral Pieces, (San Diego: Harvest Book, Harcourt, 2002), 65-88. For a meaningful discussion of the Second Amendment and its history see Michael Waldman, The Second Amendment: A Biography, (New York: Simon and Schuster, 2014). George Orwell, Nineteen Eighty-Four (London: Secker and Warburg, 1949). Donald Trump’s True Colors–the telltale detail.